Last Friday afternoon, just before Congress left for its summer vacation, the U.S. government declassified with light redactions several pages of a document that reveals ties between the 9/11 terror attacks and the government of Saudi Arabia. Breitweiser is a 9/11 widow and activist. Working with a group of other 9/11 widows known as the “Jersey Girls,” she was able to pressure the U.S. government to conduct a formal investigation into the 9/11 attacks. Her piece “The Long-Hidden Saudi-9/11 Trail” was recently published on Consortiumnews.com. 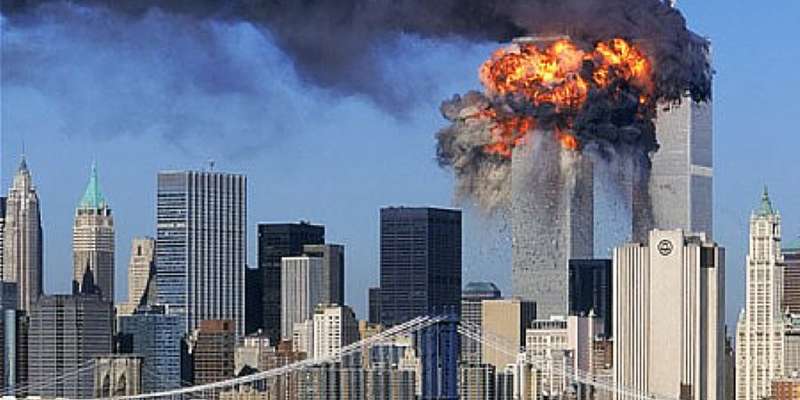 “To be clear, the 9/11 Commission did NOT fully investigate the Kingdom of Saudi Arabia. Staff Director Philip Zelikow blocked any investigation into the Saudis. Zelikow even went so far as to fire an investigator who had been brought over from the [Congressional] Joint Inquiry to specifically follow up on the Saudi leads and information uncovered in the Joint Inquiry. I will repeat — the investigator was fired. “In addition, Zelikow re-wrote the 9/11 Commission’s entire section regarding the Saudis and their connection to the 9/11 attacks. Former 9/11 Commissioners John Lehman, Bob Kerrey and Tim Roemer have all acknowledged that the Saudis were not adequately investigated by the 9/11 Commission. Thus, for any government official to hang his or her hat on the 9/11 Commission’s Final Report when Commissioners themselves have admitted that the Saudis were not fully investigated is absurd and disgraceful. “For example, one glaring piece of information not mentioned in either the 9/11 Commission or the Joint Inquiry’s 29 pages is the information regarding Fahad Thumairy and Khallad bin Attash found in both an FBI report and a CIA report that are now declassified. “Both reports indicate that Fahad Thumairy — a Saudi Consulate official — helped bring Khallad bin Attash into the United States in June of 2000 so he could meet with two of the 9/11 hijackers, Khalid al Mihdhar and Nawaf al Hazmi. Thumairy escorted bin Attash — a known Al Qaeda operative — through INS and Customs at Los Angeles International Airport evading security and any possible alarm bells. Again, this information is found in both a CIA and FBI report. “Four months after Khallad bin Attash met with the two 9/11 hijackers in Los Angeles, the USS Cole was bombed and 17 U.S. sailors were killed. Khallad bin Attash, Khalid al Mihdhar and Nawaf al Hazmi were all named as co-conspirators in the bombing of the USS Cole. Where is the information regarding bin Attash and Thumairy? Has it ever been investigated? “Had our intelligence agencies capitalized on the known connection between Thumairy and bin Attash, they would have been able to thwart the bombing of the USS Cole. In addition, they would have had access and the ability to weave together nearly all the pieces of the 9/11 attacks — more than nine months before the 9/11 attacks happened. But as history shows, Saudi Consulate official Fahad Thumairy was not investigated and 17 sailors in addition to 3,000 others were killed.